The students union is formed in accordance with the provisions of the constitution for the college union as instructed by the KTU University and approved by the college authorities; will function under the general guidance of the Principal and the staff advisor. 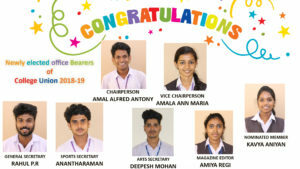 The college union members are elected every year, to train the students in the duties and responsibilities of citizenship & to promote opportunities for the development of character, leadership, efficiency, knowledge and spirit of service. 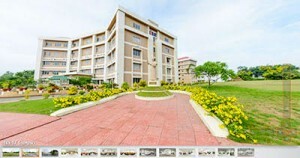 This tenure of college union is from 1st June to 31st May every academic year.